SUBMARINERS who played a pivotal role in the NATO mission to topple the Gaddafi regime in Libya last year are to be rewarded for their service. The crew of nuclear submarine HMS Triumph will be presented with medals at a ceremony in HMNB Devonport next week. During the conflict they conducted many operations which in turn were key in preventing planned attacks including the mining of Misrata Harbour. Much of the information was kept under wraps until July this year when The Herald spent a week onboard the submarine and the crew revealed the extent of their role. Triumph’s crew foiled another assault when an unmanned inflatable boat was found with two mannequins at the controls and a box containing a ton of explosives on board. Code named Operation Ellamy, the mission saw the first strike from the hunter-killer submarine, and the first from any British unit, on March 18, 2011 – just seven days after they were re-tasked to Libya. Although the exact number of Tomahawk Land Attack Missiles fired by HMS Triumph could not be revealed, the submarine conducted six precision strikes each firing more than one of the deadly missiles on key targets including one of Colonel Gaddafi’s compounds. After the operation some of the crew members said they felt “disheartened” by the lack of recognition for their service. Another described the feeling as a sense they had been “written out of history”. But now the boat and 87 members of her crew, who have also been nominated for a Millie award, will receive the Unified Protector medal. Commander Rob Dunn, 48, the former commanding officer of HMS Triumph, said: “We were operating in a hostile environment with gunfire echoing through the hull for nearly seven weeks. As a result of the war, three members of HMS Triumph’s crew were presented Chief of Joint Operations Commendations in the operational awards list. 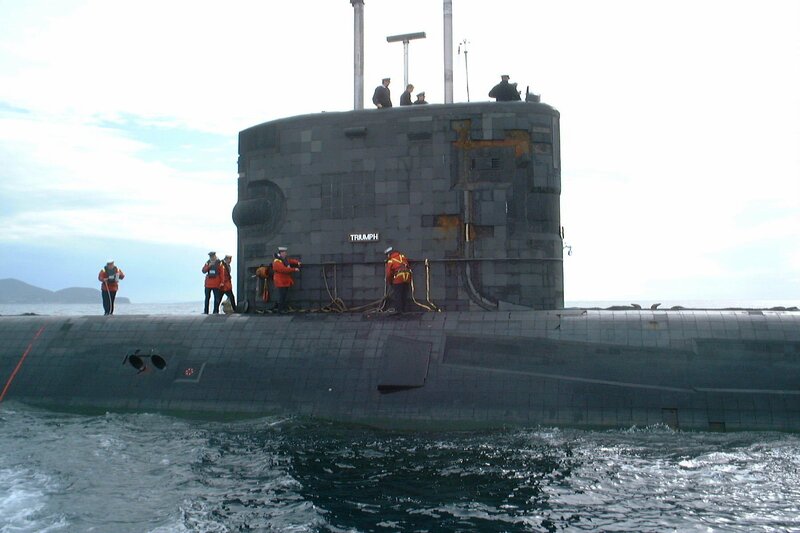 Cdr Dunn said the crew worked under continuous “risk and rigour” during their mammoth 10-month deployment. This entry was posted in UK Submarines and tagged HMS Triumph, Operation Ellamy, Tomahawk on December 7, 2012 by jasonlockley.